Scroll down for Events around the Corner. Where will my child live when she leaves home? After months of searching, they visited L'Arche (rhymes with "marsh") and saw persons with disabilities and assistants sharing a life of faith and beautiful relationships - a life they dreamed of for their children. Inspired by hope, they made a commitment to bring L'Arche to Metro Richmond. 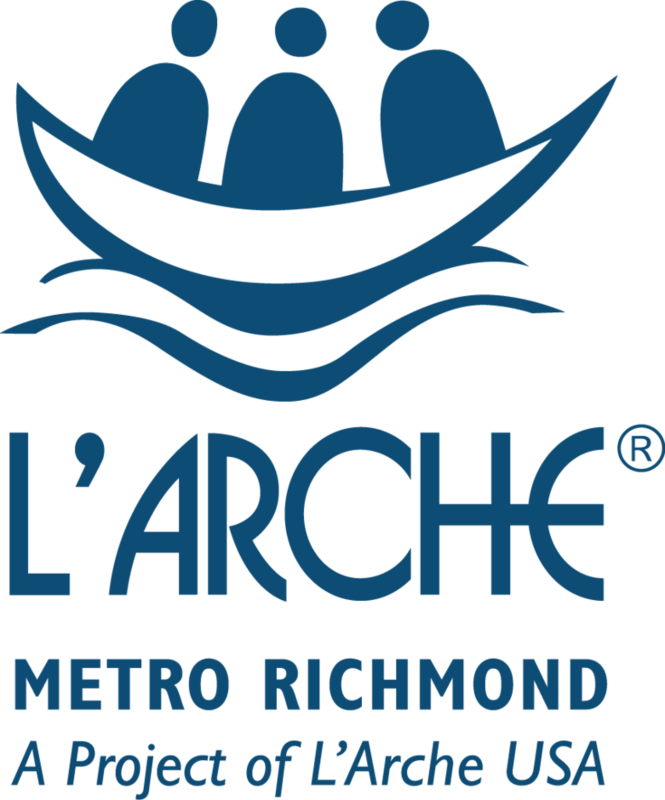 In January 2016, the L'Arche USA Board unanimously voted to welcome L'Arche Metro Richmond as a Project of L'Arche USA and we launched the serious work to realize our dream of L'Arche services and homes in Metro Richmond - services provided with a love that is unique to L'Arche. Today, L'Arche Metro Richmond has a thriving community of friends who enjoy the events and activities provided by our six community life programs - Spirituality, Healthy Living, Charity, Celebration, Advocacy, and Independent Living. 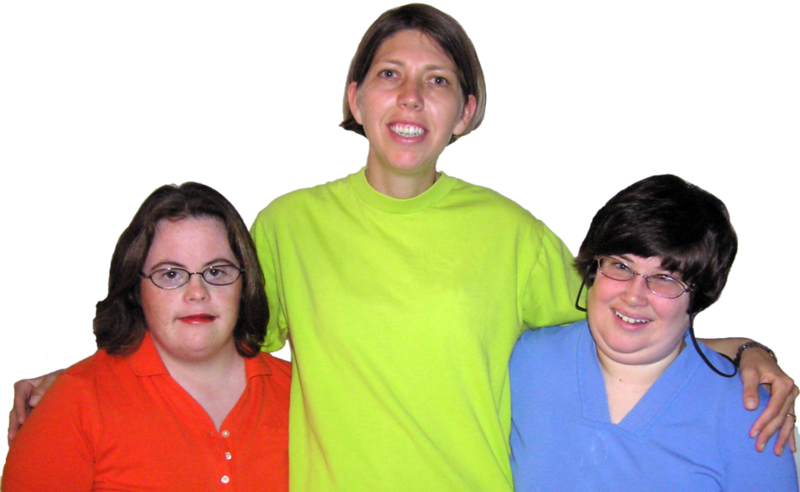 Each L'Arche Program is led by a friend with disabilities who has an accompanier to assist. Persons with disabilities and loved ones form relationships, support networks, and community, and they find purpose.Please scroll down for a list of events around the corner. 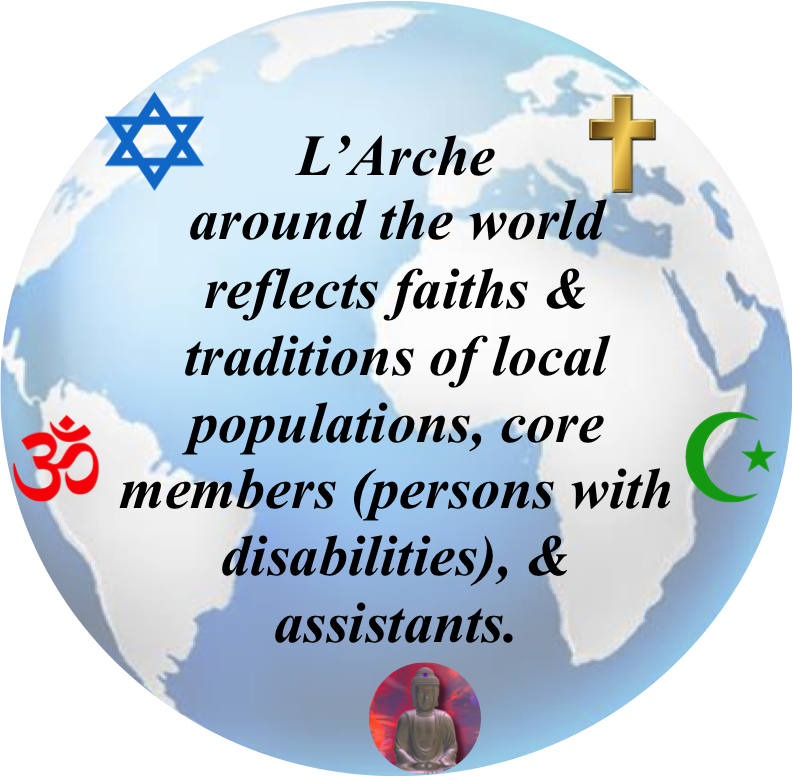 L'Arche is global community of faith that celebrates the gifts of persons with developmental disabilities - gifts of welcome, wonderment, spontaneity, and directness. They touch hearts and call others to unity through simplicity and vulnerability. They are a living reminder to the wider world of the essential values of the heart without which knowledge, power, and action lose their meaning and purpose. In the USA, L'Arche typically provides family-like homes where where persons with and without disabilities live as peers, create inclusive communities of faith and friendship, and transform society through relationships that cross social boundaries. At the heart of L'Arche are "core members," adults with developmental disabilities and the relationships that arise from a shared life. France 1964 - L'Arche Founder, Jean Vanier, invited two men with intellectual disability to leave the institution where they lived and share a home. They called their home, L'Arche, French for "The Ark" (from the Bible story of Noah and the Ark) - a place of safety and refuge. Vanier's hope "to do for" grew to a sacred commitment "to be with and befriend." Today hundreds of L'Arche communities flourish around the world, 19 in the USA (including L'Arche Metro Richmond). L'Arche celebrates the gifts and honors the dignity of every human being. Persons with disabilities are companions, friends, and teachers; not clients, patients, or service recipients. Assistants come from around the world to live in L'Arche. They accompany (not supervise) and share lives of love and respect. Beyond the home, a community of friends shares in celebration and prayer. Join us to gather with new and old friends. Great food ... terrific company. RSVP not required. Exception - Walk Club is cancelled on the 3rd Thursday of each month. Who? You! All are welcome. No RSVP required. Where? Regency Square Mall – 1420 Parham Rd. - Park in the lower level covered deck & enter the mall entrance. Our “re-imagined” Community Life Group (CLG) is led by friends with disabilities. If you are a core friend, loved one, or a friend who wants to accompany/learn or be a part of the “re-imagination,” email larcherichmond@gmail.com. Stay tuned for a new wave of L’Arche activities!